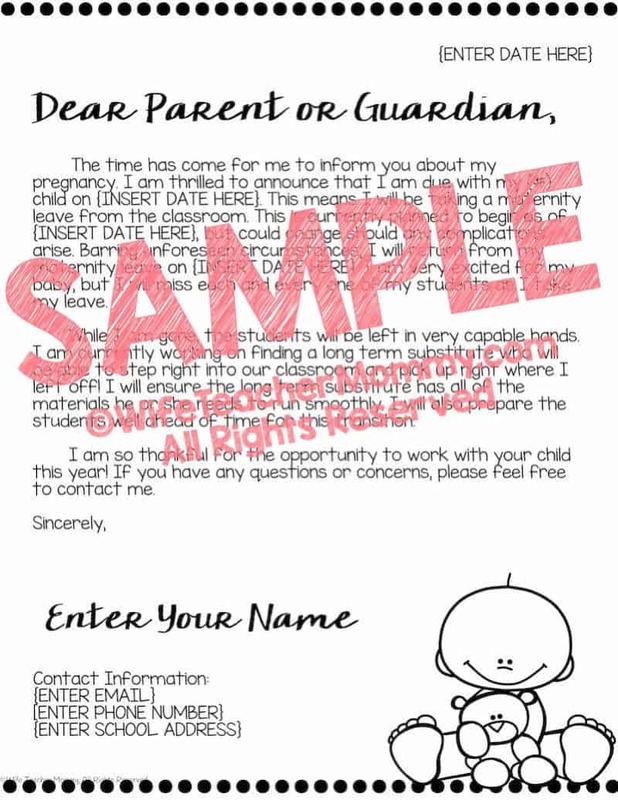 This document includes several versions of an editable maternity letter to parents. 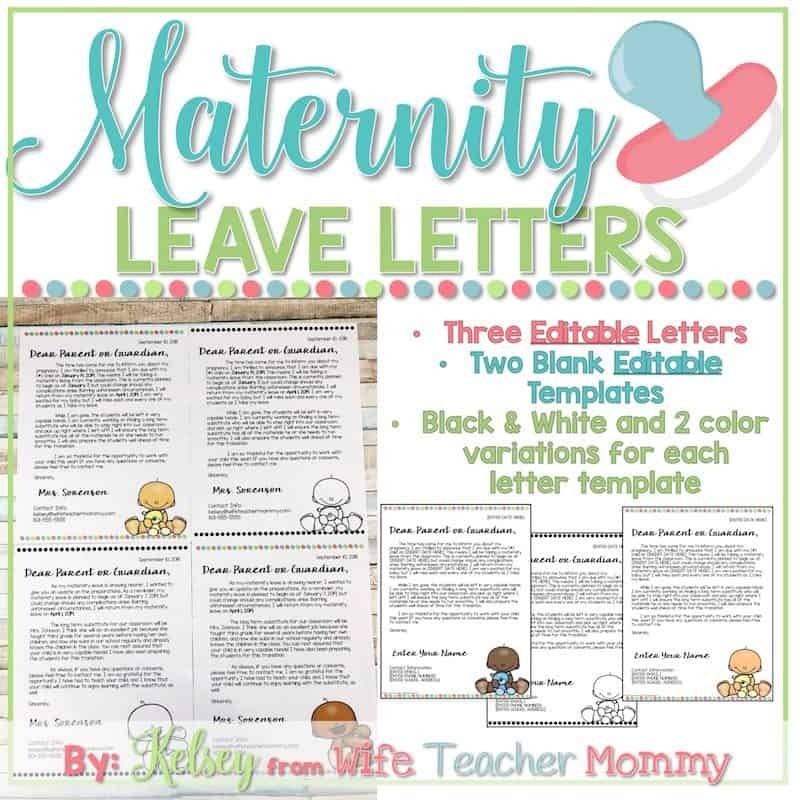 There are a total of 3 editable, pre-written letters with 3 color variations of each maternity leave letter (one black and white, and two color with skin-tone variations). These adorable templates include baby-themed clip art and adorable fonts! There are also two blank templates you can use to write any additional updates you’d like to send home. You’ll have your maternity leave letters sent home in no time! Each of these can be edited to your heart’s desire! The fonts are embedded right into the editable PDF. Instructions for editing the fonts and colors is included. 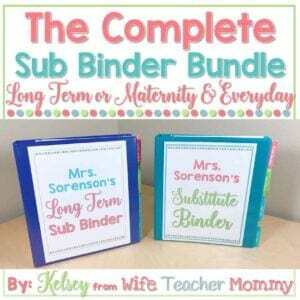 Want more resources to help you prepare for your maternity leave? 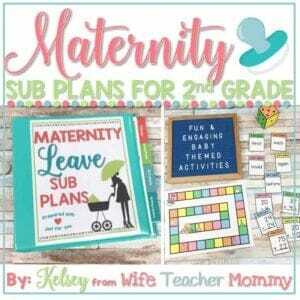 You will LOVE the Maternity Leave Sub Binder and the Maternity Leave Sub Plans. 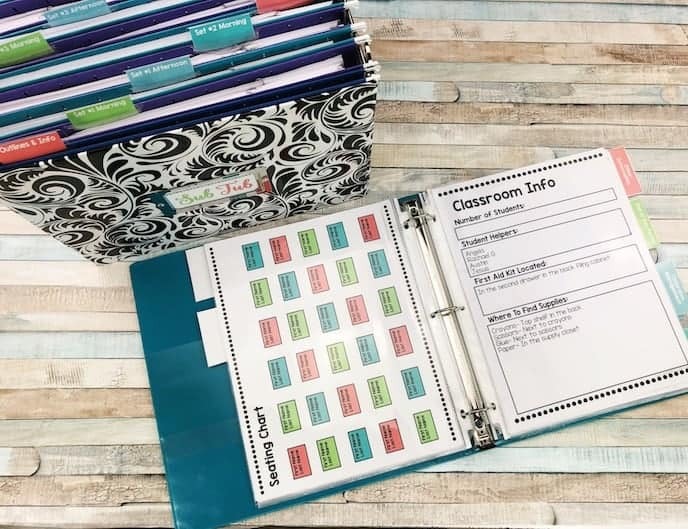 The binder helps you put together all of the info your sub will need with ease (you won’t forget a thing!) 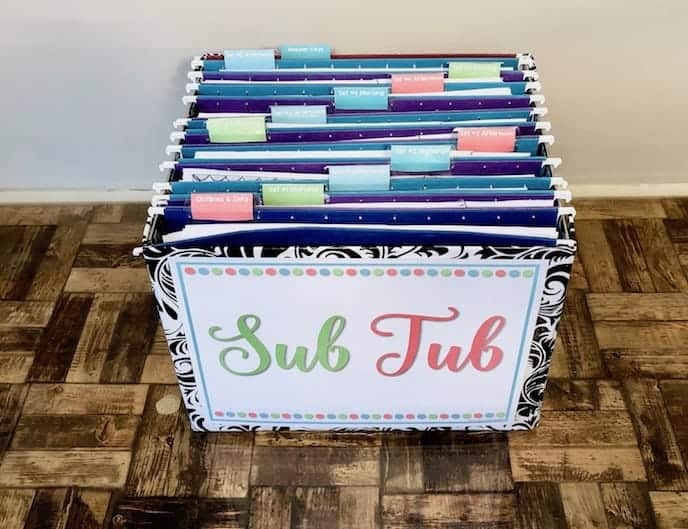 The Maternity Leave Sub Plans include HUNDREDS of pages of baby-themed activities your substitute and class will LOVE!